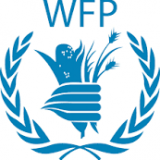 WFP was first established in 1961 after the 1960 Food and Agricultural Organization (FAO) Conference, when George McGovern, director of the US Food for Peace Programmes, proposed establishing a multilateral food aid programme. The WFP was formally established in 1963 by the FAO and the United Nations General Assembly on a three-year experimental basis. In 1965, the programme was extended to a continuing basis. The WFP is governed by an Executive Board which consists of representatives from 36 member states. Ertharin Cousin is the current Executive Director, appointed jointly by the UN Secretary General and the Director-General of the FAO for a five-year term. She heads the Secretariat of the WFP. The European Union is a permanent observer in the WFP and, as a major donor, participates in the work of its Executive Board. The WFP has a staff of about 11,500 people, the majority of whom work in remote areas. United Nations C-130 Hercules transports deliver food to the Rumbak region of Sudan. "Reduce undernutrition and break the intergenerational cycle of hunger"